This page was created on 5/02/99. GO TO CAMRYMAN'S "CAMRY FORUM"! Go to THE ULTIMATE CARS WEBSITE!!! Thank you for choosing "CAMRY NET", anyway people thank you for visiting my homepage. If you like this site go visit my other site "THE ULTIMATE CARS WEBSITE" where you will see all kinds of cars like Nissan, other Toyotas, Hondas, and alot more. 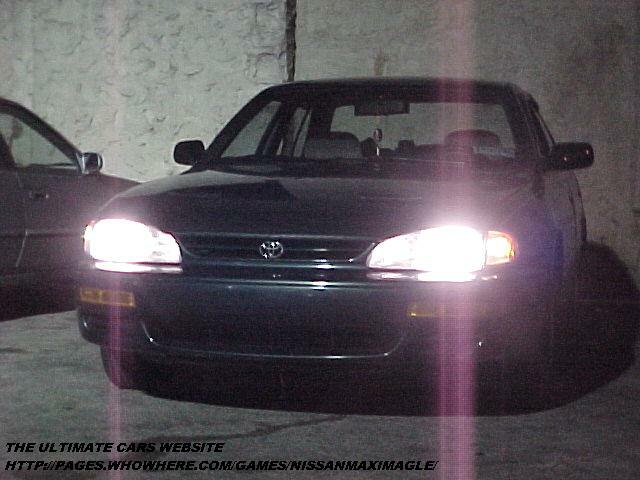 If you want to see your Camry featured here just e-mail me and I will put it up within 3 days!!!!!!! And if you have any questions just e-mail it to me and I will answer you back as fast as I can!! !